Dogecoin creator Jackson Palmer is set to headline ‘Dogecon SF’ in San Francisco, an upcoming gathering presented by Follow The Coin in partnership with Palmer and the Dogecoin Foundation. The 25th April event will celebrate the short but dramatic history of the altcoin. Beginning at 4pm, Dogecon SF will feature food, fun, panel discussions and opportunities to win some dogecoin. Entry is free, although donations are encouraged. A number of speakers are set to appear at the convention, billed as the largest dogecoin gathering yet. Litecoin creator Charlie Lee will join Palmer for a “fireside chat”. Dogetipbot co-founder David Dvorak and Doge4Water creator Eric Nakagawa will lead a panel discussion focusing on the community’s charity efforts. Andreas Antonopoulos, the bitcoin evangelist and author of the forthcoming book ‘Mastering Bitcoin’, will lead a talk entitled ‘Currency As A Language: Understanding value in a world of thousands of currency publishers’. San Francisco’s Adam’s Grub Truck will serve refreshments. Palmer told CoinDesk that he hopes people who don’t know much about digital currencies attend Dogecon SF, and that one of the successes of dogecoin has been its attraction for those previously unfamiliar with the concept. 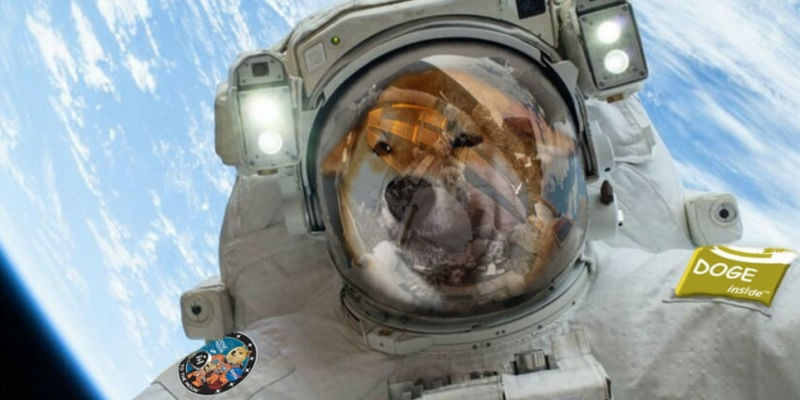 Dogecoin enthusiasts have grown steadily in number since the digital currency’s launch. This list includes reddit CEO Yishan Wong. Earlier this month, a gathering of shibes was held at Meltdown Comics in Los Angeles.